About 63,000 vehicles were delivered to customers in the first three months of 2019 – a decrease of 31% compared to the previous quarter. The total sales figures included about 50,900 Model 3 sedans, Tesla's best-selling vehicle and 12,100 luxury Model S sedans and Model X-SUVs. This was the first quarter to quarter decline in sales of Tesla for almost two years and the largest single drop ever. Slow sales are a problem because Tesla needs to keep its sales level high to pay off its substantial debt. Tesla counts a sale when a vehicle is delivered, not when a new order or reservation is placed, because customers only pay the entire price when they actually receive their vehicles. So the sales figures do not necessarily reflect the demand. Sales figures do not come as a shock: Wall Street analysts expected Model 3 sales and deliveries to be around 50,000. And Tesla had already said it was expected that the Model S and Model X supplies were lower than they were a year earlier. Daniel Ives, CEO of Equity Research, said in an e-mail that Wall Street was already "an apocalyptic quarter". Ives said overall sales were "clearly soft", but the low number "represents an" air pocket "quarter in our opinion." He added that he was encouraged because Model 3 supplies "were better than feared." First, Tesla rushed to finish some sales before the end of last year so buyers could take advantage of a $ 7,500 federal tax credit that lowered the amount people had to pay for Tesla's vehicles. 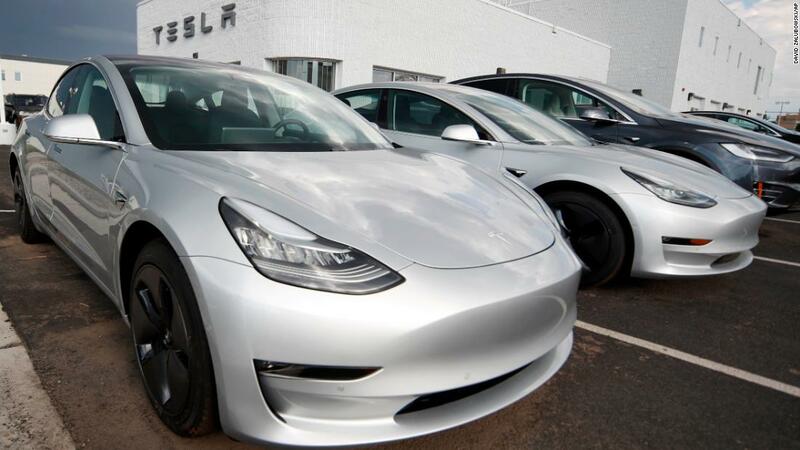 This tax reduction has been reduced in half of sales completed in 2019 – potentially making a Tesla a somewhat tougher seller for budget-conscious buyers. The company said Wednesday that US orders for model 3 vehicles "significantly exceeded" deliveries, indicating that there is still a great demand for vehicles. "We confirm our earlier guidance on 360,000 to 400,000 vehicle deliveries in 2019," Tesla said. Second, the company began sending its Model 3 to China and Europe for the first time in the first quarter. The new push on international sales has been a logistical challenge for Tesla. The company said Wednesday that it encountered "many challenges" with a "massive increase" in shipments abroad, which the company has previously warned investors about. Due to these hangups, a "large number of vehicle deliveries" are expected to be switched to the second quarter, Tesla said, as about 10,600 vehicles were in transit with the first quarter ended. The company said it expects first-quarter results to be adversely affected by lower than expected delivery numbers and recent price adjustments. CEO Elon Musk had said in January that he was still "optimistic about being profitable in Q1." But he admitted a month later that he expected a modest first quarter loss. In mid-March, Musk sent email to employees and asked them to do what they could to deliver each car possible before the quarter was closed. "When challenges go, it's good to have, since we've built cars and people have bought the cars," he wrote in that email. "So we just need to get cars for their new owners!" News about slowing sales could also create new concerns about whether Tesla has enough money to make its massive debt payments. In March, Tesla paid a $ 920 million bond that took a large lump out of the $ 3.7 billion in cash it had at the beginning of the quarter. It followed a $ 230 million payment made by the company in November. The next big payment is a debt problem of $ 566 million due to November, followed by another $ 1.4 billion in notes maturing in two years. The company said in its statement on Wednesday that it "closed the quarter with sufficient cash available." 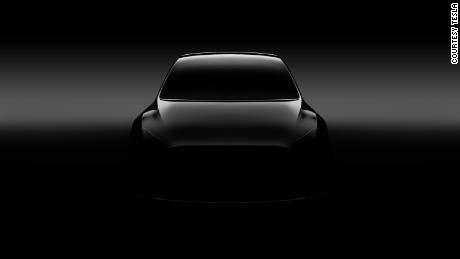 Tesla also needs more money soon as it prepares to start making Model Y's cheaper SUV built on Model 3 sedan platform. And Tesla is building a plant in Shanghai, hoping that half a million cars will be made to the Chinese market every year. Thus, the talk of a cash crunch has posed something, at least compared to last year. "From our point of view, we would not characterize Tesla with a robust liquidity position in any way, but it is less tough than it was six to nine months ago," says Bruce Clark, credit analyst at Moody's.